Presently there are more than one million apps in Apple’s App Store and according to Forrester Research, app sales will reach $100 billion by 2020. When it comes to a mobile operating system, Android is undoubtedly the most popular one in the world. But the best apps hit the iOS marketplace first, and Android ends up waiting for some time before developers port their apps over to it. Here are 10 hot iOS apps that are yet to join the Android party. This is a simple iOS-only app that allows users to create and share grocery lists. AnyList syncs lists automatically, reflecting the changes made to them. Better yet, its recipe mode can suggest recipes for meals based on ingredients you have in stock. It is a very useful app for those with a forgetful partner who consistently forgets buying something basic. You can even access your grocery lists from your Mac or PC with the upgraded version. AnyList, as of now, is focusing only on iOS though the company has plans to release the app for Android platform in the future, says cofounder Jeff Hunter. Tweetbot is an elegant app for Twitter, worth paying for. This iOS app allows you to manage multiple Twitter accounts and view conversations with the people you follow on this micro blogging site as they unfold. You can even mute people who tweet a little too often. This app is designed for iOS7 and is faster and easier to read. But what makes Tweetbot even better than Twitter’s official app is that it does not show sponsored Tweets in your feed. If you are a Twitter enthusiast, Tweetbot is a highly recommended app. Unfortunately, Android users are less likely to see this app on their devices. The company seems to have no plans for an Android version. Do you think creating smooth time-lapse videos needs expensive stabilization gear and tripods? Not anymore. Hyperlapse from Instagram can smooth out any shaky footage using image-stabilization techniques. The result is: impressive, smooth time-lapse videos. This app was launched in late 2014 and quickly gained a lot of attention from the users. The built-in stabilization technology of Hyperlapse provides a cinematic quality, look and feel to your moving, handheld time lapses. You can therefore create handheld time lapse videos while running, walking, jumping, falling or riding in a car. Hyperlapse has simply taken iOS world by storm. Though Instagram said that working to bring this app to Google’s OS in future, there is no known Android release date. According to a statement in Wired last year, Instagram said that Google needs to make some changes to the Android camera and gyroscope APIs to solve the compatibility issues with Hyperlapse. The future of this app for Android therefore isn’t entirely bleak. If you are a big fan of DIY projects, SnapGuide is the perfect app for you. This crowd-sourced how-to app features a hot of projects, hacks, repairs, and recipes with detailed instructions and photo guides. The how-to guides available on SnapGuide range from lifestyle, home and gardening to technology and automotive. You can even like, share and comment on guides as well as create your own guides on this app. SnapGuide presently supports iOS 6.0 and above. As far as Android version of this app is concerned, the company has expressed their interest in supporting more platforms in the future. However, they are more focused on improving their iOS version right now. This iOS-only app boasts to help more than 2.5 million people lead better, more productive lives. It sold 350,000 copies in just nine days soon after its launch. Clear, with its easy to navigate functionality and striking visual design, helps you create a to-do list on your iOS device with its simple gesture interface. This app allows you to swipe down and create new tasks and/or swipe right to complete them. You can even create separate lists and organize task by interest or project, set reminders and create personalized lists using visual themes. You can even sync your to-do lists across all your devices using the iCloud synch. It even syncs with the Mac app. There is no news about Clear being available on Android or Windows phones, although the company expressed their interest to take this app to other platforms soon after its launch. Paper is Facebook’s own news reader to enjoy the social network treatment. It features magazine style design aesthetics similar to Flipboard. You can read various curated articles from different sources like National Geographic and Times along with your own Facebook News Feed. Though its card-driven, image-centric and horizontal interface is different from Facebook’s norm, it is a refreshing change. In fact, you can even use Paper as a great alternative to Facebook’s default app. You can even post status, comments, images and share content directly to this social networking site from within the app. The bad news is, the release date of Facebook Paper for Android may never arrive. This is a Kickstarter-funded weather app designed for iOS devices. Dark Sky is known for providing accurate local weather forecasting. Using state-of-the-art technology such as radar mapping, this app can provide “down to the minute” weather predictions to let you know when it will rain or snow. The latest version of this app includes a 24-hour forecasting and next week forecasting. It is compatible with iOS 7 devices and radar maps are now easier to read on this app, thanks to its new light backgrounds. There is still no update about Dark Sky releasing its Android version anytime sooner. This blockbuster action role-playing gaming app will surely make your Android friends jealous. Infinity Blade 3 delivers jaw-dropping graphics, using Unreal Engine and Apple’s latest hardware releases. This game continues the tradition of Infinity Blade series where players fight to the God-King as the stealthy Isa or the fierce Siris through swipe-and-tap combat. This app again, is never likely to release an Android version. Steller is an amazing storytelling app for iOS devices. If text essays or picture slideshows aren’t enough for you, this is one app you need to download. You can create photo and video stories using this app. The multimedia stories on Steller combine text, audio, and video. You can organize the stories into collections, share them on various social networks, and view stories shared by other users. There are various topics available, ranging from yoga to fashion. We are yet to receive any news about its launch on Android devices. This minimalist text editor is more likely to stay an iOS-only app for awhile. iA Writer is a distraction-free platform that lets you enjoy an uncluttered writing experience. The title bar disappears as soon as you type and a clean typing sheet arrives, tossing aside all distracting tools. The result is, you get a typewriter like experience. iA Writer, however, comes with some modern conveniences like a word count meter, iOS’s spell check, iCloud, and Dropbox support. While Android offers incredible technical customization, the reputation of iOS for UI design and aesthetics is unmatched. 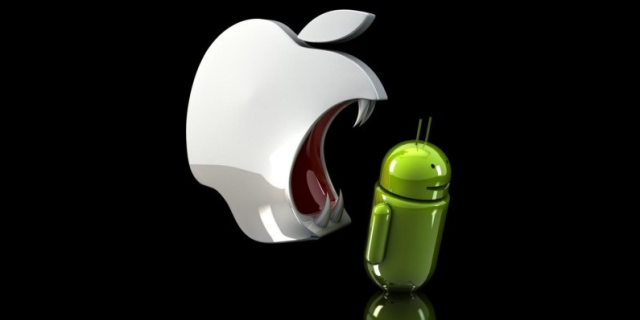 Besides, its screen size and small number of devices also makes this platform an easier environment for app developers. Apart from those mentioned in this post, there are many other apps exclusive to iOS devices. Some of which are lucrative enough. Android user? Well, there is always hope for a port.